Alright, skeleton is working. Just need a little more testing and its all done. You need to rotate model 180deg and bones will not have correct angles, I may correct that later. 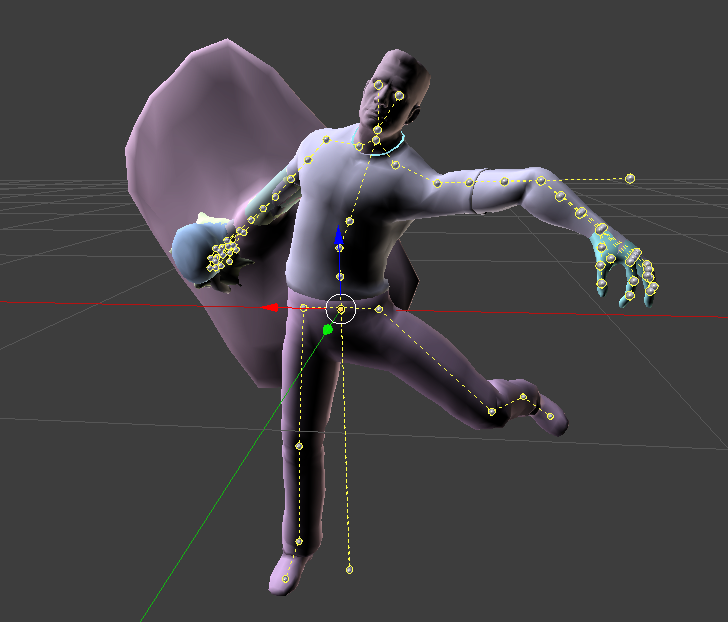 There are no face bones, facial animations are done with morphs. Last edited by daemon1 on Sat Apr 29, 2017 5:35 pm, edited 1 time in total. But i have a problem..after drag and dropping .36 file to your programm exe i got a some .smd,mat and .anim files,how i can open them? if i remember correctly smd is valve format,but what about .anim and etc.? P.S Also,you mentioned paletted textures,are this texture paletted? 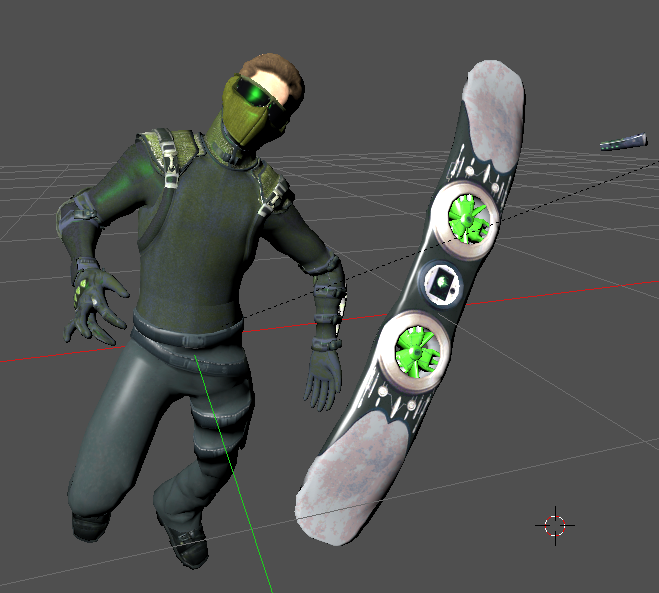 If yes,how i can edit this texture to give it normal look? .anim is game format, you can't open them. I extract them so maybe someone will like to research them. I'm only converting models and textures, all other files are just game files. 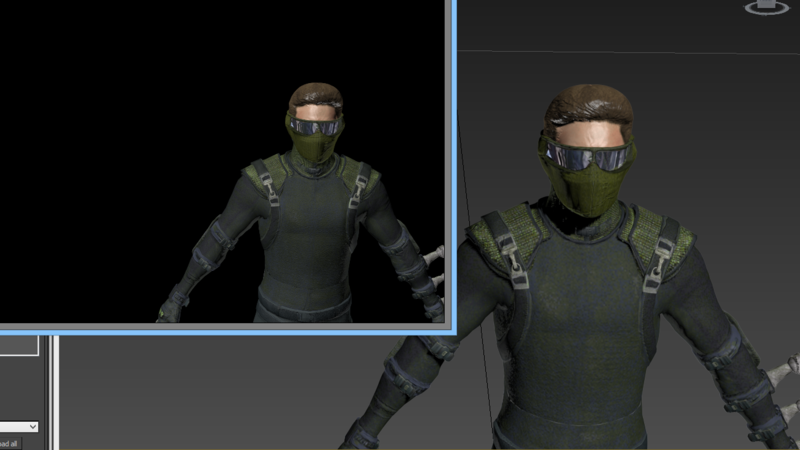 That texture is combined specular and other masks. Spec is blue channel i think. also i tried to use milkshape but it have no Fbx output..
no, i dont have 3dmax. Ask people who used that plugin. Also try converting it with noesis to other format. Oh,i almost forgot about Noesis.. Thank you,now everything works perfect! Edit: After exporting model using Noesis and importing it to 3ds max,i assigned all materials,and rendered..
rendered model looks strange..normals problem? Rutabaga wrote: Oh,i almost forgot about Noesis..
the polygons of this model probably inverted so you have to invert them back. 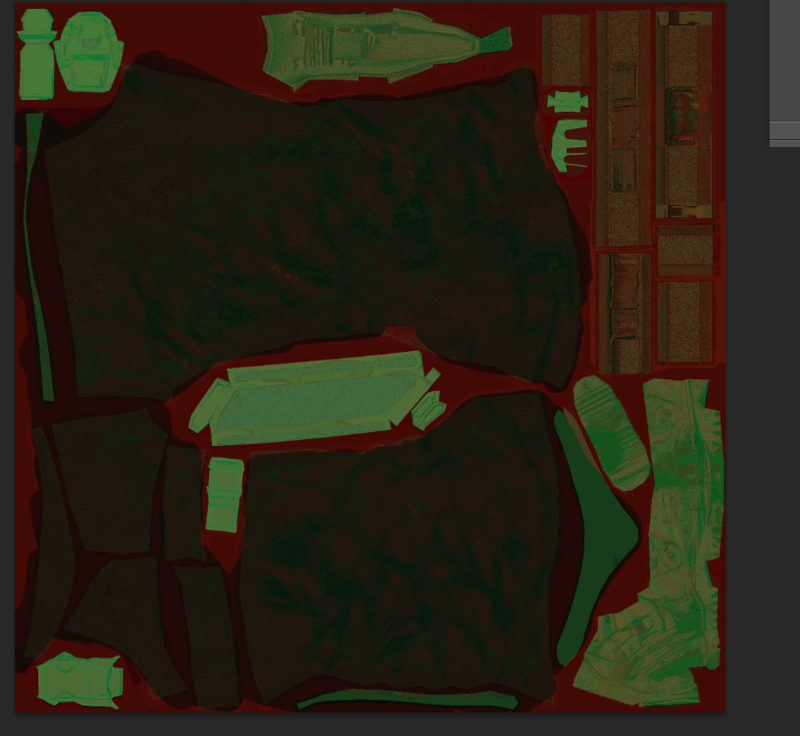 Btw,i can't find Peter's Jacket diffuse map,what i should to do? 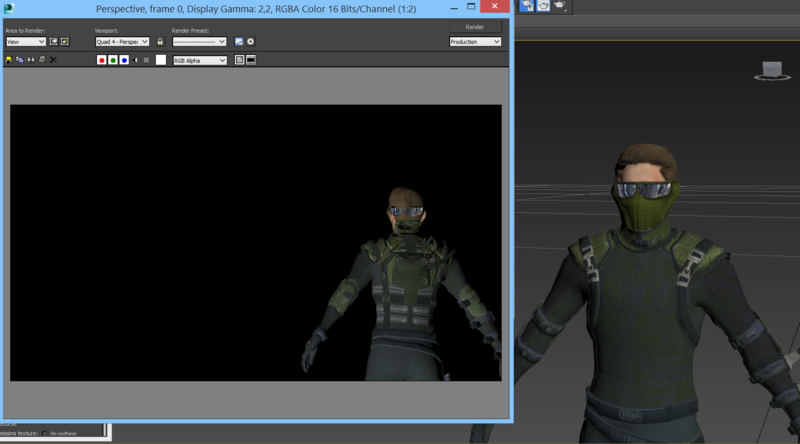 this jacket (upper body) have only bump,ao and spec maps..
peter's costume has no diffuse map. Its made with solid colors. Can't you see it by looking at his model? 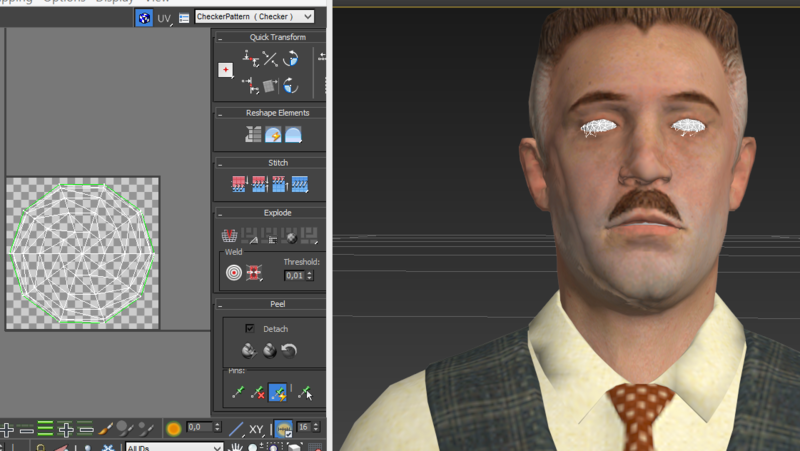 Today i tried to extract a few models from BROCK_BEATDOWN.PCPACK file.I imported smd models into 3ds max and applied materials but can't find Jameson eye diffuse map,what i'm doing wrong? seems like characters sharing eye texture. try to look at another archive. sometimes archive with chared textures are called 'common', 'cmn' or just 'shared'. Now i extracted every .36 file from pcpack files (397 files in total) how i can drag and drop them into Apkf tool executable? when i drag and drop 10-20 files (for example) the tool extracts only 1 file. Does tool have batch support or something like this? if yes,what i need to write in command line? it is possible to rip buildings/city models too? Rutabaga wrote: Does tool have batch support or something like this? if yes,what i need to write in command line? Use it in a folder where Spiderman3_APKF.exe and some *.36 files reside. But start with two *.36 only; if there's more than 2 *.36 files in the folder: have fun with sorting all the produced files.